This Sunday was the GSPCA Animal Welfare Seafront Sunday. With hundreds of dogs and their owners enjoying the sunny weather we thought it would be the ideal opportunity to promote The Duke of Richmond’s friendly and welcoming hotel as a pet friendly place to visit and have a drink on the terrace or even stay the night! 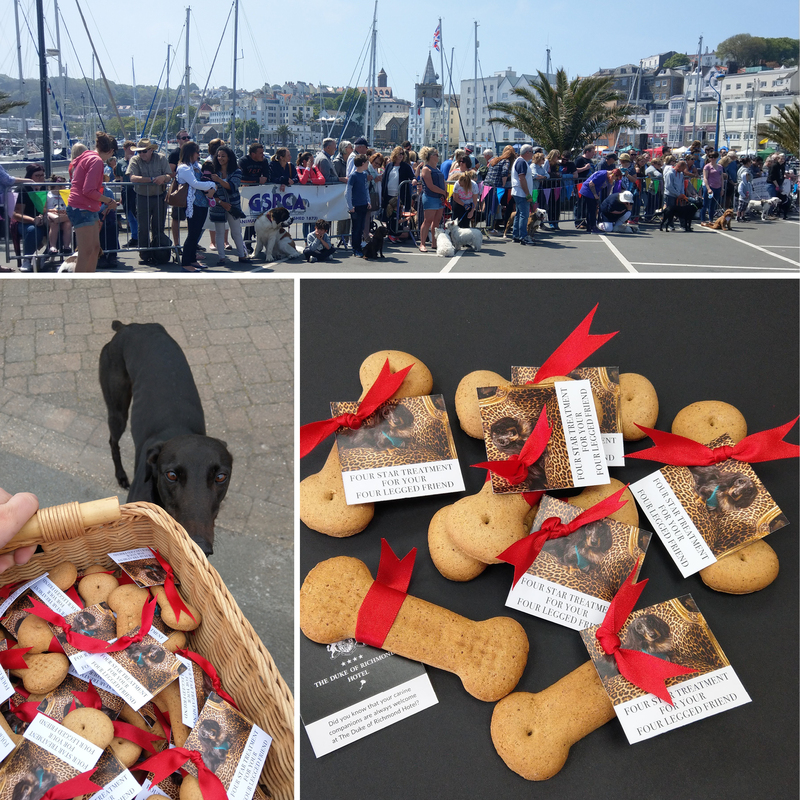 We added bows and gift tags to some tasty dog treats and handed them out to the pet owners on the piers around town. It was lovely to see all the happy pooches enjoying their snacks, and a great promotion for The Duke of Richmond Hotel who will have plenty of new four legged friends popping in.